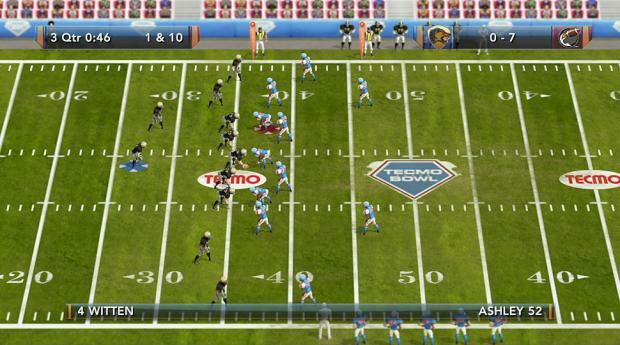 It’s Tecmo Bowl, but on your Xbox 360 or PS3. And without the NFL-licensed players and teams. But with a 3D-style look and feel! You can go old-school and play in 2D mode, too. It’s actually the SNES version of Super Tecmo Bowl, redone for the present day and with some extras thrown in here and there. Apparently you’ll be able to edit teams and rosters, so with a little work you could get everything all squared away with the real-life names. The big addition here, too, will be online multiplayer. That means you can use the time between now and when the game’s released to track down all the kids that used to live in your neighborhood growing up. I’ll be buying this, price be damned. I’m guessing we might be looking at around $10 but I’d go up to, and including, $15. I don’t know how I’d feel about $20. Probably not great, but that’s not to say I still wouldn’t buy it. No hard and fast launch date yet other than Spring 2010.